We were very surprised how knowledgeable the technician was and so very thorough. We would like to have him service our home again when next needed. terminix regularly does a good job with quarterly pest treatment but neglected this past week to treat inside after completing outside, even though i had made a point of asking for inside treatment when i made the appointment. Curtis Hoffman, Pinehurst NC. I have a huge spider phobia... during my last 3 month check-up, my provider was very kind and helped to ensure that all signs of spiders were removed. Many, many thanks! Very satisfied with your service thus far. Technicians are very knowledgeable and always arrive on time. Damien is friendly and a diligent worker. Very pleased with service. Dolores Ray. The technician was on time and completed the work quickly without interrupting the family. Great job! No bugs, ants, anything. Love it! Tech was very polite and professional. I had to leave so he got inside done ASAP. I left and he finished. Very happy. The service was great! He check my whole house and made sure to explain everything he was doing and why he was doing it. He was child friendly and I love that because I have very curious children. Terminix has done a great job for us over years about 20 years. Great job done on July 6 by the two gentlemen from Terminix. Good service routine annual service inspection. Very please at the turn around time in my last min request. Very professional and friendly, wouldn't go anywhere else. yes I am satisfied I'll let you know when I'm not. I am very satisfy with Terminix job. Ryan is an excellent technician. He knows our home and is great at putting long term solutions in place. We are very pleased. Thanks for the excellent service, You all are helpful polite, work hard and do a great job. Good. But still gave spiders! 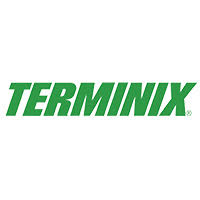 Very pleased with the service provided by Terminix employees. They do the job in a professional and timely manner, are pleasant & friendly. They found no termite activity, so that was good. The service provider did check our crawl space, but didn't replace insulation that was down due to a recent plumbing repair (paperwork we received said that this would be done). It appears some of the termite traps we have around the house were not checked, as pine straw still covered some of them (maybe they don't all have to be checked..we have over 20 of them). We have had the same serviceman the last several times. He is very polite, professional and thorough since he knows our property so well. The young man who came to our home to perform our initial service (Dameon) was friendly, courteous, explained what he was doing, and was an extremely hard worker.